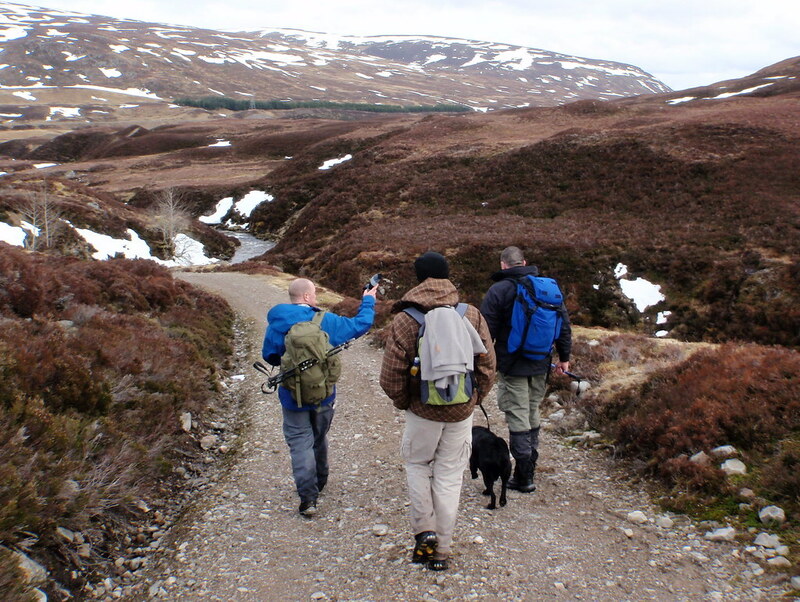 5 of us (via the Caberfeidh Munro Baggers) had planned a jaunt round the Drumochter 4 for today. 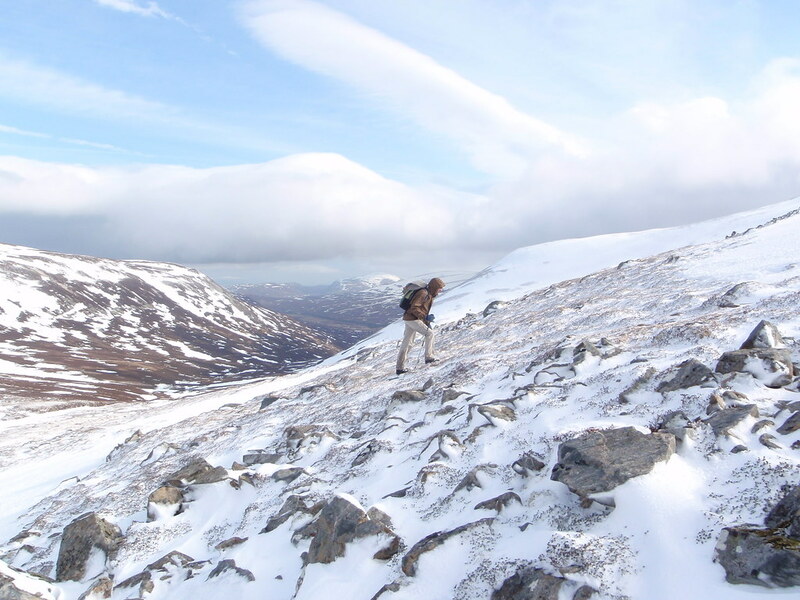 We began at Balsporran Cottages, crossed the railway, and ascended up the East ridge of Geal Charn. 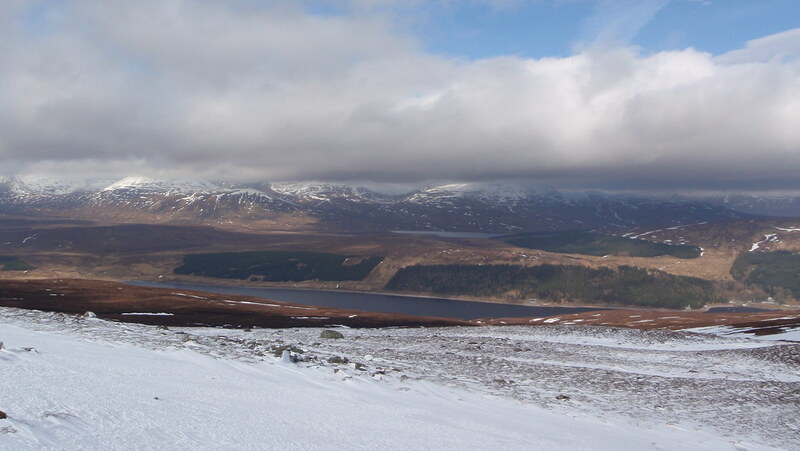 The day began with extremely promising weather - we knew a southerly wind was waiting for us, but at least the skies looking bright and sunny.....it didn't last long. 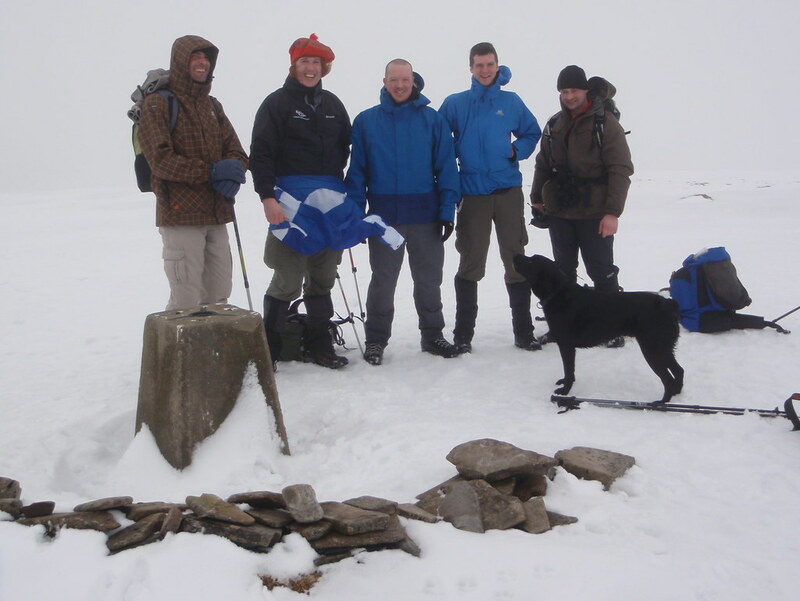 The 5 of us had varying experience but are all relatively new to the hills - 2 of the guys were losing their Munro virginity this morning. 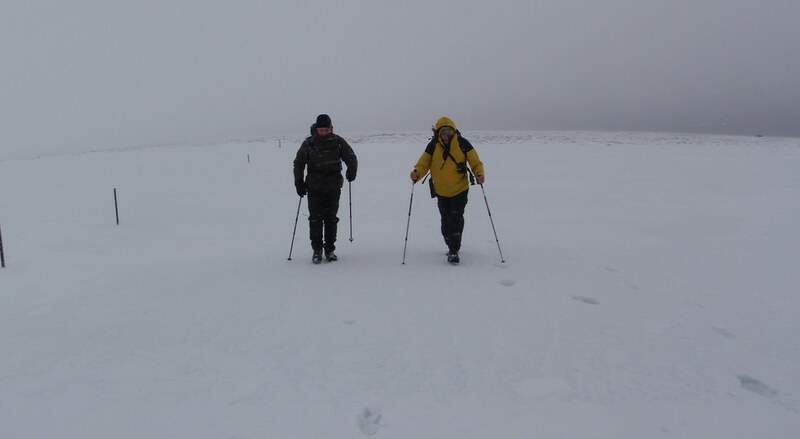 Sid and Siborg were following on from their recent epic weekend bagging the far north Munros (Hope & Kilbreck), and myself, having only done low level wanders the last 3-4 months was about to get a sharp reminder that going uphill is a different task! 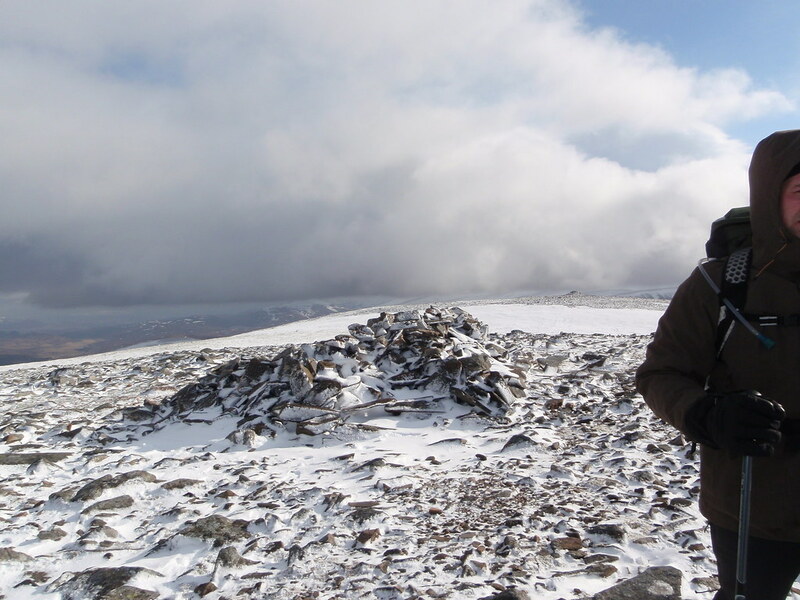 Soon enough the pain barriers were well and truly broken through on all accounts, with Barry on his first hillwalk proper (there was a story about 6 cans of beer and an ancient failed Ben Nevis trip getting told) racing ahead consistently after we'd left the first summit. 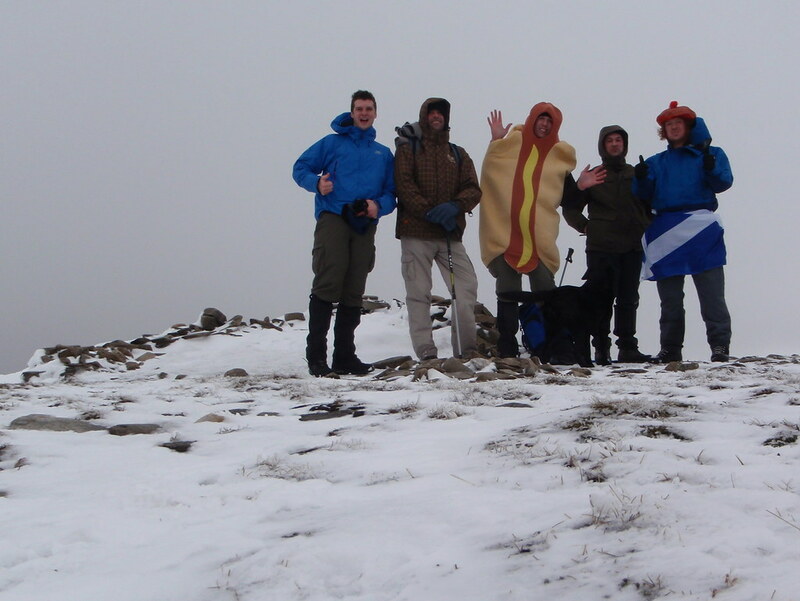 Anyway...Geal Charn was summited in good time, the hotdog made it's first appearance of the day, and we moved on. 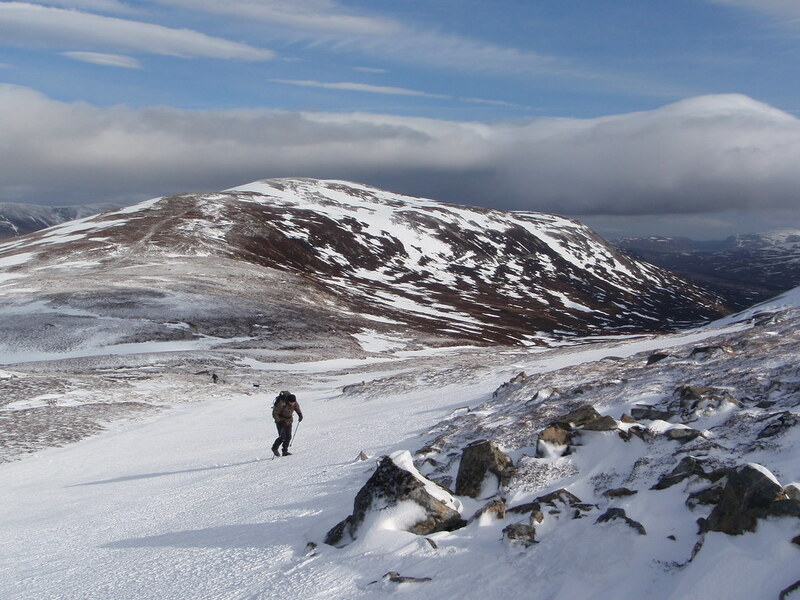 There was still a good bit of snow cover on A' Mharconaich and it seemed to alternate between hard ice and leg eating soft stuff. 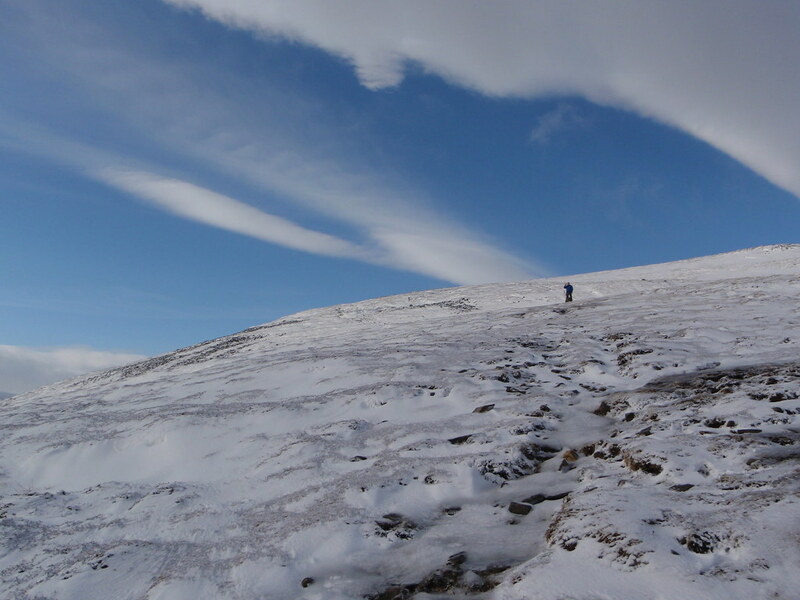 By the time we got to the summit of A' Mharconaich the cloud had either engulfed us, or was only just above us. The wind had picked up. 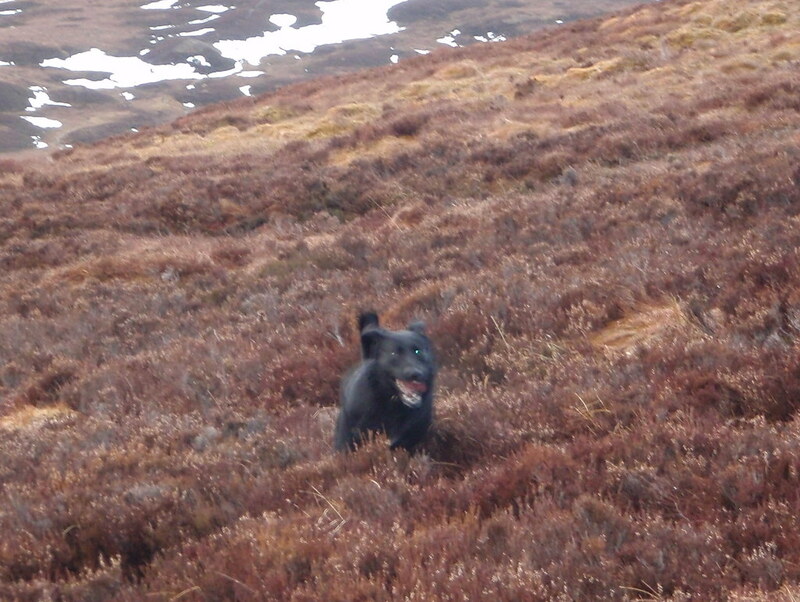 We had a very quick sandwich, took a pic and were getting ready to move on - but a sole figure was spotted and Si's dog Breagha shot off to give him a welcome. 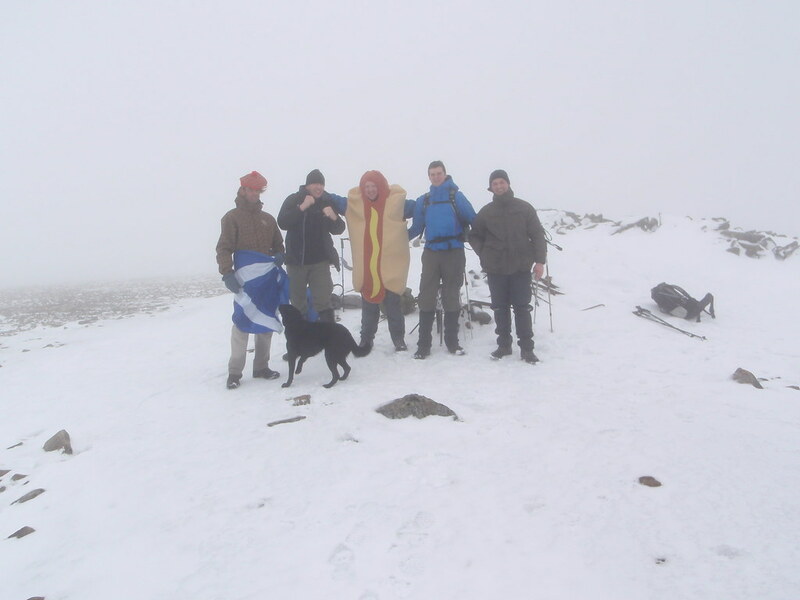 He met us at the summit, thanking us for providing some steps up the hill, and kindly took a pic of our group Turns out our plans were the same and we headed off toward Beinn Udlamain. 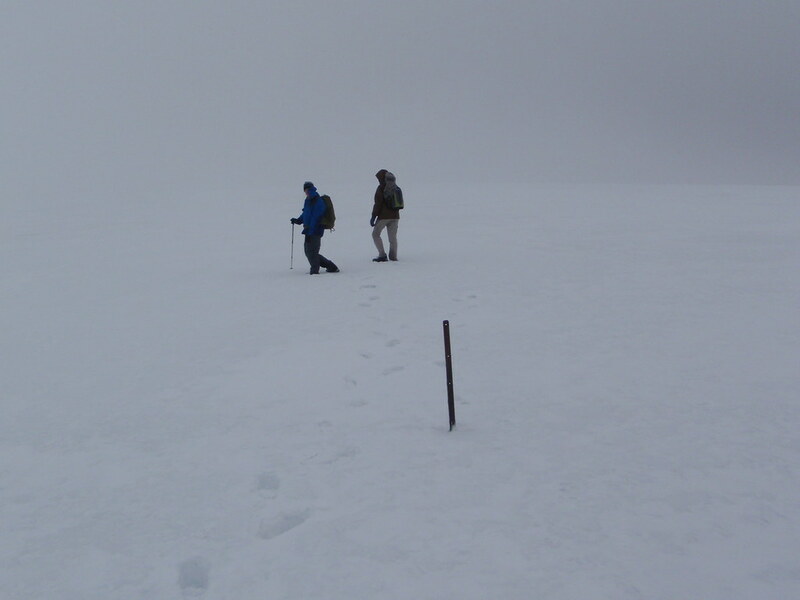 Visibility was poor but there are fenceposts to follow all the way to the summit. 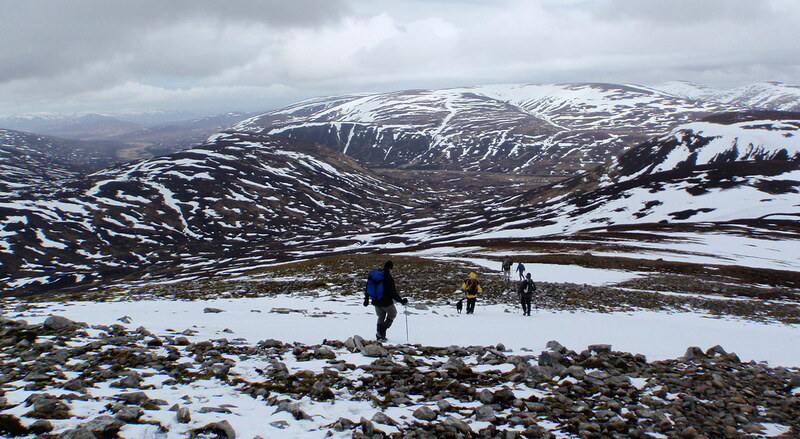 Lunch over, it was time for the final assault on the 4th and final Munro of the day: Sgairneach Mhor. 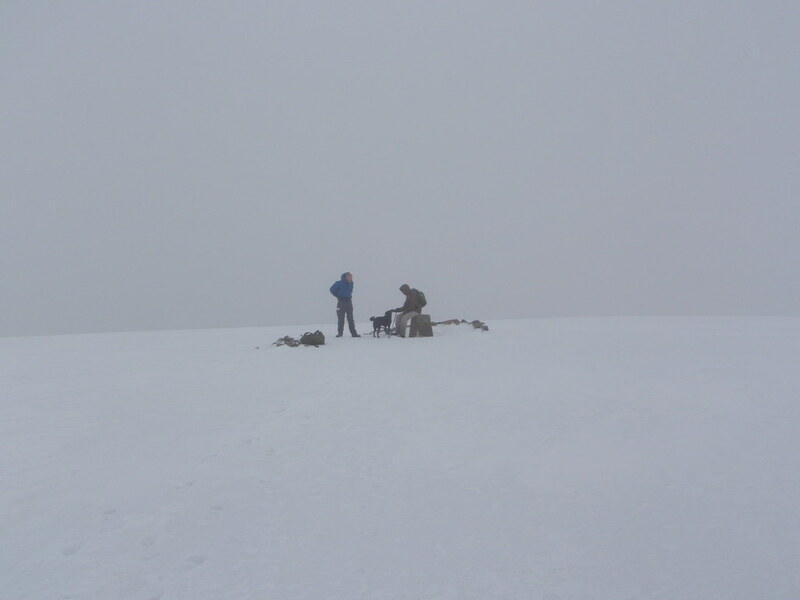 Visibility was poor and we all plodded up, with odd leg lost in the snow, to the west top, and onward to the summit. 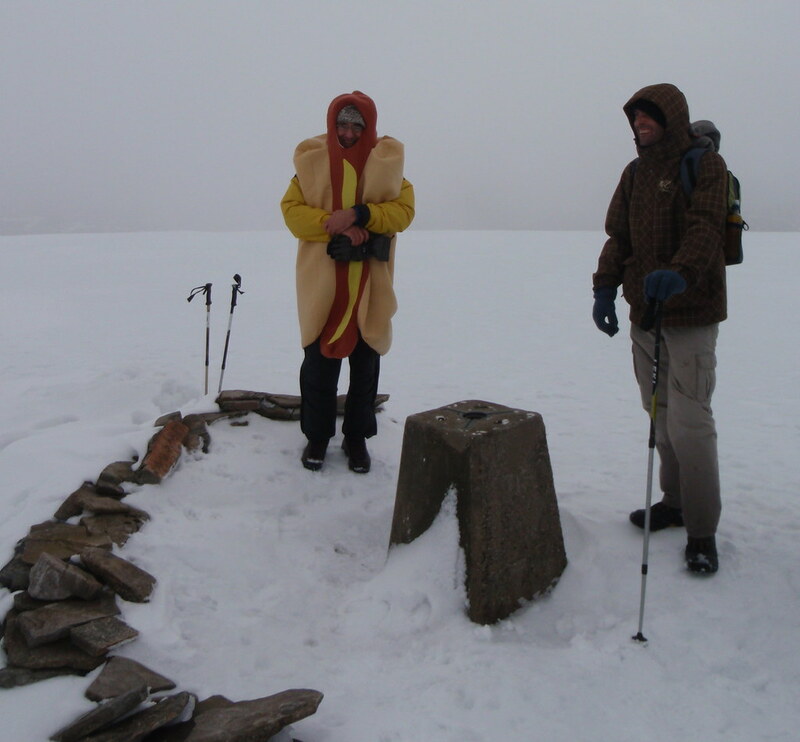 It was on this last summit that the gaffr put on the 'suit' - I don't think he even noticed the chill anyway (did he ever put gloves on in the -10 (?) 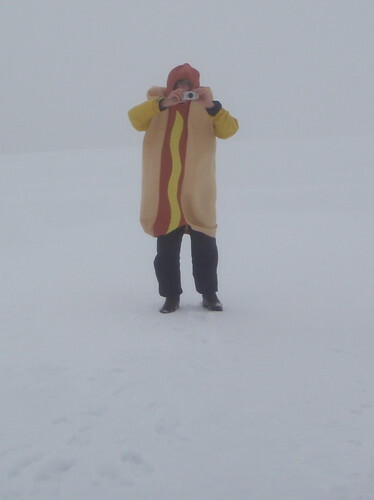 wind chill?....perhaps...eventually)....regardless, he was suitably impressed with the insulating properties of the hotdog and remarked it was made of much finer threads than any of the spare clothing he carries. The hotdog is definiely hot! Pics were taken of the squad, including the gaffr in his new suit. 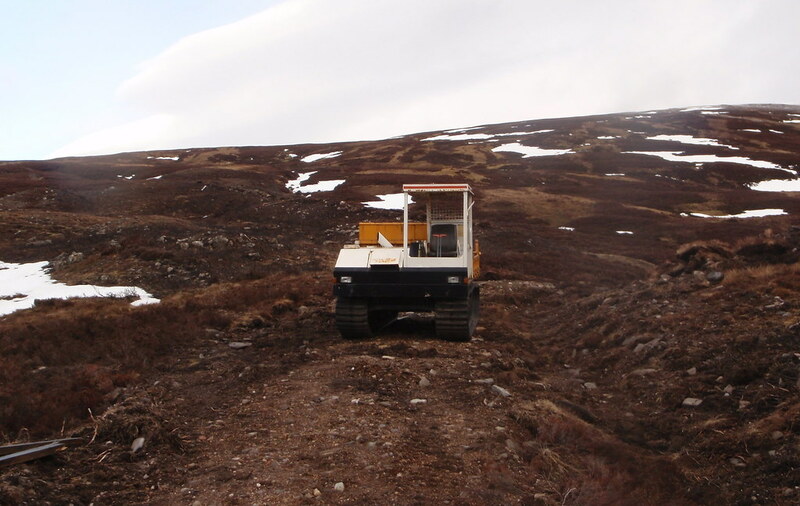 The track back to the A9. Sid pointing to the Sow, giving it a final warning? 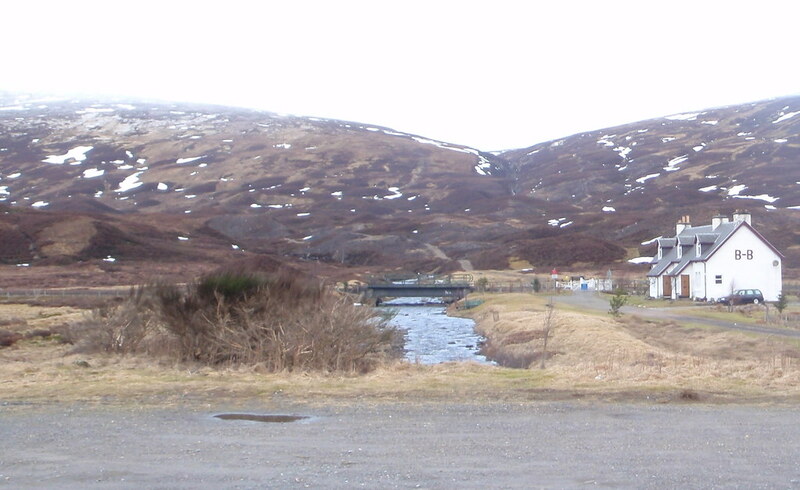 Eventually we picked up the path and made our way back to the layby in the A9, all grateful that we'd taken measures to avoid a soul destroying plod next to the road all the way back to the start point. 5 mins and 1 shuttle run later we were all back at the starting car park, posing for a group photo and a few last laughs before heading our seperate ways. Excellent report thanks Scott, both informative and funny. A grand day was had by all and meeting Gaffer with his knowlege and experience was an extra bonus. Many thanks all. 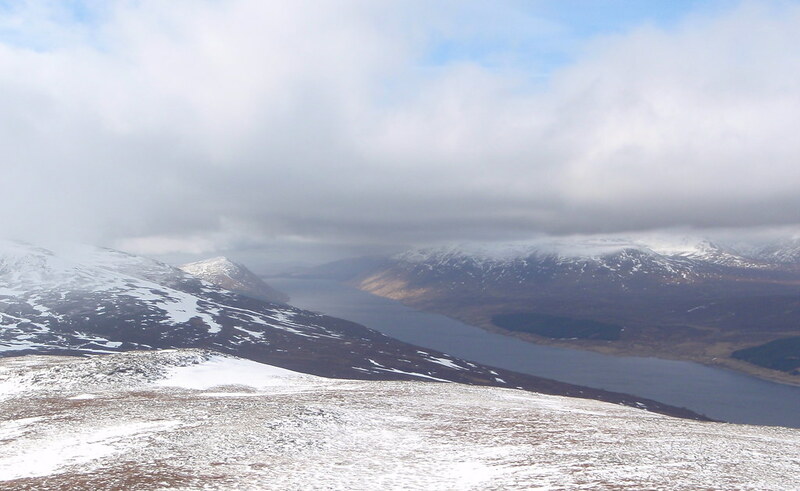 Looks like you lads had a good day, regardless of the clouds. 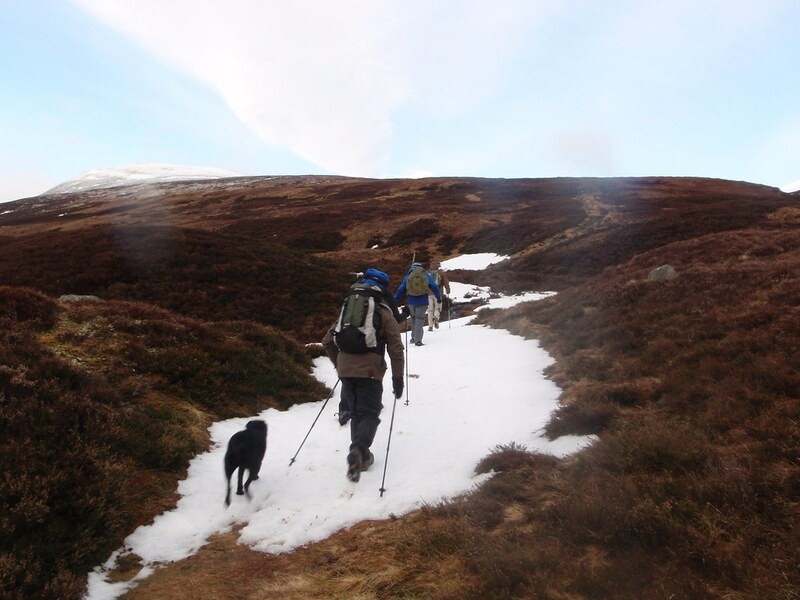 We had similar visibility conditions on these four late last year, but it's a nice walk. 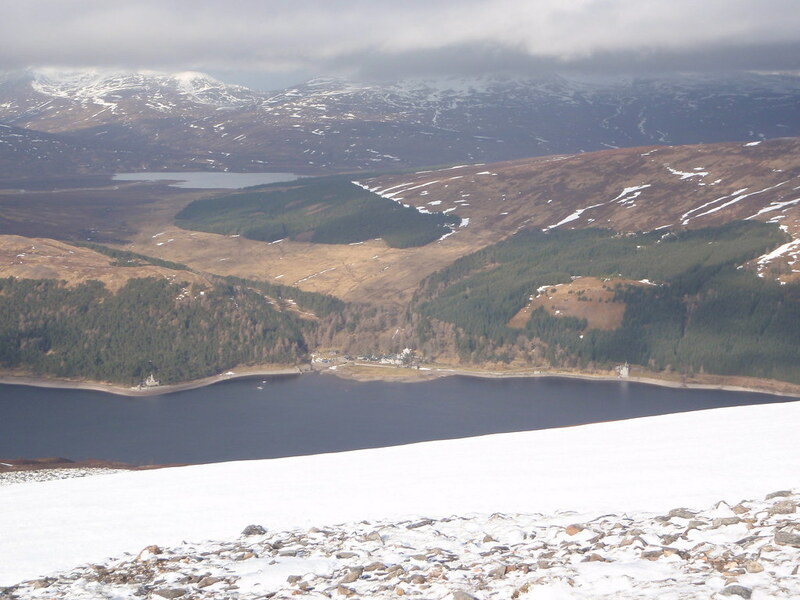 I think I'd probably rather take my chances and have an encounter with the Bikini on the Ben! 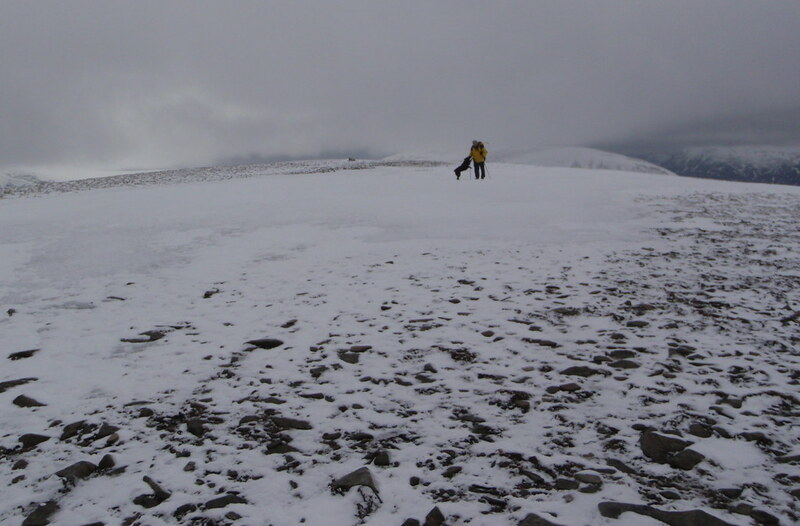 Trust me Graeme, the thought of climbing Nevis every weekend in July or August did cross my mind haha. Hah, this is funny AND useful, thanks for that! And a route profile...which is what my friends require to be convinced it's a birthday outing to agree to. Have you really moved to Americaaaaaaa?